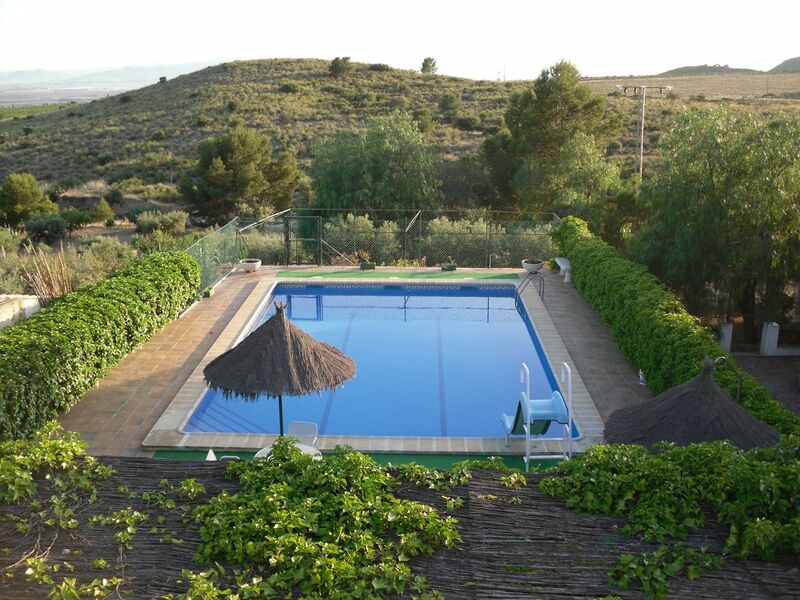 Unique country house set in a quiet rural location and surrounded by the best of nature, just 15 minutes from Hacienda del Alamo golf resort and Fuente Alamo and Close to Cartagena and Murcia. On your doorstep you will find the peace and tranquility offered only to a select few, by living close to nature in a natural park with fantastic views of the mountains of the Carrrascoy. The outside living area is divided into several sections to enable you to make the most of the traditional Spanish way of healthy outdoor living, with a private swimming pool area, barbecue, 2 traditional bread ovens and terraced garden areas with many fruit trees including orange, lemon,clementine,peach grenadine and olive trees. Wonderful and relaxing stay. Great home, great pool and great WIFI ! I spent two weeks here with my family (3 teenagers !). The house and pool are beautiful. The location and view is stunning. Chari and Emilio were so kind and welcoming and always available if we had any questions. The location, although rural, was within easy reach of many places such as Murcia, Cartegena and Mazarron. There is a very impressive golf course nearby also. Definitely need a car to get around. We had a great holiday in a beautiful home. Thanks Chari & Emilio !